AGCO are once again on the lookout for Young agripreneurs to become the Next AGCO Africa Ambassador! Are you involved in a project or cause which positively impacts farming in your local community? Then enter the video contest and send us a short video of yourself introducing your project and explaining why you should be the next Ambassador. 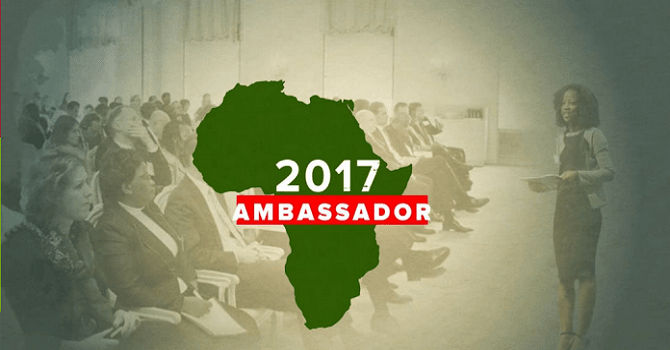 AGCO, a Fortune 500 company from the US, is looking for the AFRICA AMBASSADOR 2017! This will be your chance to travel, meet people from all over the world and show off your skills in front of a large audience! Visit Berlin, the vibrant capital of Germany in the heart of Europe! Represent your continent and host the sixth AGCO Africa Summit in Berlin (January 16, 2017). Eligible Participants may enter as many times as they choose so long as each Submission offers different content and perspective from a previous Submission by the Eligible Participant. Men and women are welcome to participate in the contest. Qualification for the contest begins on September 1st, 2016 at 10am SAST and ends on October 31st, 2016 at 10am SAST. http://www.facebook.com/AfricaAmbassador. Eligible Participants accept and acknowledge that the decision of the Judges is final. Hosting the AGCO Africa Summit on January 16, 2017 in Berlin, Germany.